Over the past 8 years, I have observed different lens care handling habits (good and bad) in different people and have also seen some colleagues battle with continuous eye infections. So I am going to share my knowledge and observations on the subject, based on real life experiences (my own and others'). 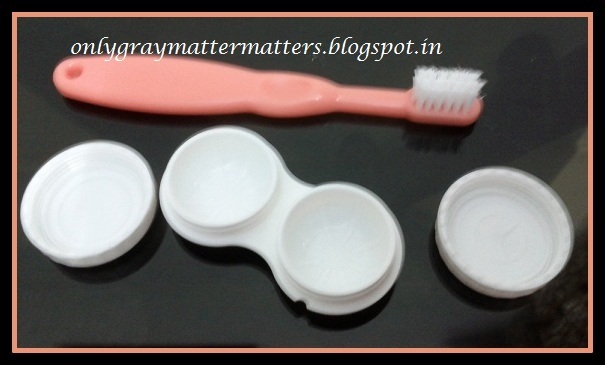 Hope this post helps in making your contact lens-wearing experience more comfortable. Do not miss the DOs and Don'ts at the end! Read my post on contact lenses and makeup HERE. Clean your lens case thoroughly every 2-3 days using a baby toothbrush and a non-oily non-moisturizing soap. Make sure to clean the case, the caps, the bridge joining the left and right lens pots and the rings on the case and cap too. Rinse clean with warm water (or clean with normal water and soak in warm water for a few minutes). Leave on any clean surface to dry in air (dries in 5 minutes or so). This will help remove any bacteria film buildup on your lens care (suggested to me by a Bausch and Lomb officer many years ago). Keep your lens case in a place away from dust. When you buy a pair of contact lenses, the medical practitioner is supposed to train and educate you thoroughly on contact lens handling and care. Your contact lens care routine includes Cleaning, Rinsing, Disinfecting and Storing your lenses. You just need one multipurpose lens solution to do all these for you. On your part, all YOU need to take care of is HYGIENE. Videos on How to Wear, how to Remove and how to clean your contact lenses. The most popular multipurpose lens solution brand is Renu from Bausch and Lomb. Renu Fresh is for yearly lenses as it contains Hydranate to clean protein build up, which is a main problem with long-wear/yearly lenses. Renu Sensitive is recommended for people who use disposable lenses. The less the wear time of lenses, the less the protein buildup. Renu sensitive does not contain anything for protein cleaning and is gentler than Renu Fresh. To know more about the common ingredients in these two, see THIS article. The latest addition to the family is Bio True, which is actually extremely gentle. I feel some irritation when I use Renu Fresh, but bio true contains ingredients that soften your eye lenses making them more comfortable to wear. Contact lenses can be stored in Biotrue multi-purpose solution for up to 30 days in an unopened lens case. If stored longer than 30 days between two wears, lenses will again need to be cleaned and disinfected prior to use. 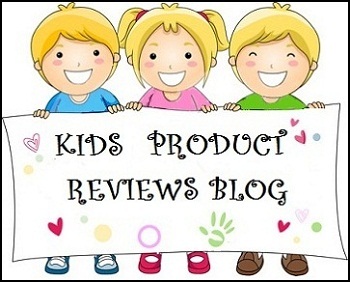 There are more brands in the market like Silklens, Puresoft, Optifree REPLENISH and Complete. I have used 'Complete' many many years ago but so far Bio True is the best for me. 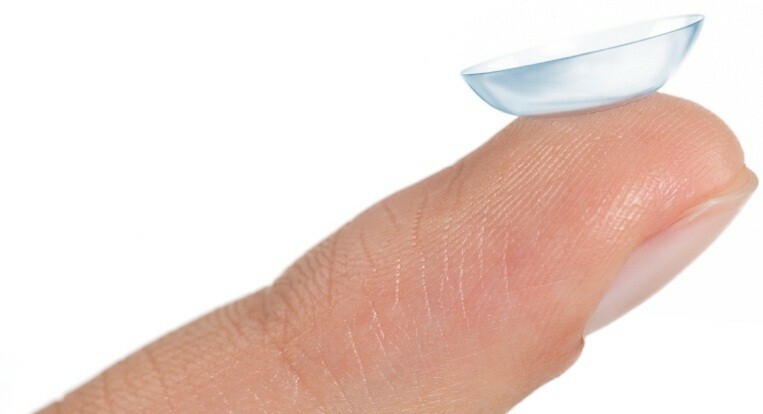 A small percentage of lens wearers may be allergic to the chemicals present in contact lens solutions. If that is the case, check with your doctor for preservative-free lens solutions. Based on your eyes' tear production capability or your work habits (people who work long hours in front of the computer), your doctor may suggest you to use moisturizing eye drops, which are specifically available for people who wear contact lenses. If your eyes dry out very often making you uncomfortable within a few hours of wearing lenses, check with your doctor for such lubricating drops. Always Wash your hands before you start wearing your soft lenses as dirt, germs, moisturizer or even sunscreen can cause stinging or other problems. Use a normal non-oily/non-moisturizing soap. Wipe hands with a lint-free towel. Find a couple of lint-free small hand towels that you can keep separately for this purpose only. Rinse your lenses every time before you wear them and also when you put them back in the lens case. Every time you wear lenses, discard the solution in the lens case. Pour in fresh solution when you put the lenses back in the case at night. Do NOT "top-up" by pouring some fresh solution in the old used solution in the case. If you are not going to wear your lenses for a few days, make sure to change the solution every 2-3 days (recommended time is everyday), Exception: Bio True Solution. I have seen most girls use the same solution for days on even when they are wearing the lenses daily. Poor hygiene is the main reason behind serious eye infection from lenses. I even know a colleague who always had an eye infection every couple of days and still won't bother to rinse her lenses or wash her hands before wearing them. But if you value your eyes, so can spend an extra minute here. If you have long nails, please take extra care while handling your lenses since nails can damage/cut your soft lenses. Sometimes there is such a minute damage in the outer circumference of the lens that you can't even figure out but it stings like needles in the eyes. So please devote an extra minute there. When travelling, always keep an extra pair of lenses (if you wear disposable lenses) or keep your eye glasses (if you wear yearly lenses) for emergency. Always carry your lens case and a small lens solution bottle in your handbag wherever you go. At any hint of itching or irritation, feel free to remove and store your lenses in the lens case and switch to glasses (your preference). Your vision is more important than your looks. Do NOT wear contact lenses and makeup if your eyes are swollen, red or infected. Do NOT store away your lenses in plain or salty water at night just out of laziness. Do NOT share contact lenses or contact lens solution. Never touch the tip of your contact lens solution bottle. I have known many girls who pop in contact lenses in the eyes, the moment they wake up, without caring to wash their hands. This is another bad habit that often leads to redness and irritation. Wearing your glasses for a few minutes won't harm, till you clean up to wear lenses. Do NOT wear lenses during swimming, bathing, sauna, spa or hot tub treatments and also in the rain, in short avoid bringing your lenses in contact with water. Also, the chlorine in swimming pool water may permeate through your lenses causing extreme discomfort, besides the risk of bacterial or microbial infections from pool water. Do NOT share eye-makeup. Very very important. At times people take it personally when you refuse to share your makeup. I have faced it many times. Just tell them firmly yet politely "Sorry, I don't share my makeup or comb". Do NOT apply normal eyeliner to your eye's waterline. Always use good quality, waterproof and opthalmologically tested eye makeup. Do NOT wear your lenses when getting your hair colored, permed or getting any other chemical treatment. Do NOT use aerosols (hairspray, deodorants, room freshener sprays, strong perfumes etc.) with your eyes open, when wearing lenses. Spray and move away from that place for a few minutes till aerosol particles in the air have dispersed. Or wear your lenses quite some time after applying a hair spray or perfume. Do NOT wear contact lenses (especially tinted or colored ones) when undergoing any treatment or surgery that involves radiations like laser etc. Such radiations can pass through the lenses and transfer the color pigments from the lenses to your retina leading to complications. This last one is out of experience :) Do NOT wear lenses after chopping green chillies as the 'sting' remains on your fingertips hours after you had chopped chillies and even washed your hands several times. If you do, your lenses will sting and water your eyes for 2-3 days once this thing gets to the surface of your lenses. Hope the information above is helpful. Any value adds to this are welcome in the comments below. Thanks Tej. Yeah, the hygiene part applies to color lenses as well :) And these are not 'my rules' :) just some things that helped me and hope help others too. I hope it helps :) Thanks for readin. I wrote it for my childhood friend and she told me she did find some new pieces of info in it, so I believe it surely is helpful to some extent. but it was very informative for me. hey i stumbled upon your blog looking for contact lens solutions.. as u are an avid lens wearer, could u please advise me as to which solution should i purchase? i wear silklens premium yearly contacts and i'm unable to choose between silklens MPS, Optifree REPLENISH or Puresoft. Please help me out. Hi Aakriti, I researched on this for you in detail, so it took long to reply. Sadly none of the contact lens solutions available in indian market is safe. I read several case studies on these. Optifree replenish seemed better than others but it has propylene glycol, Silklens MPS has Sorbic Acid, so avoid both. Purecon has HPMC for better lubrication and comfort but I read some cases that it may have poor guard against bacteria. Bio true is very comfortable but all bausch and lomb solutions have Disodium EDTA which may cause allergy on the skin.None is safe. Personally I found biotrue as most comfortable for long wear time. Whichever solution you choose, make sure to use it only within one year of opening and follow proper cleaning of the lens case, not to mention not touching the tip of the bottle ever. Dear Aakriti, I partly agree with your optometrist. For the lenses, he is right. For the case, nope. Of course for the lens case also, I use filtered or boiled (cooled) water. Never tap water as that is contaminated. Scrubbing with a brush is most important to remove any bacterial film. This was told to me by a senior official Neeraj Dabral at Bausch and Lomb. Also, I read many case studies and those who cleaned their lens case regularly had fewer infections. In all other cases, the lens case was the most infected item besides the tip of the solution bottle and lenses themselves. Further, when your optometrist says wash with a solution only, it is imperative to know that some solutions require rubbing while others are rinse-only/no rub solution. Then further different solutions interact differently with different lenses, because some ingredient in the solution may not favorably interact with the material of the lenses, decreasing the disinfection power of the solution. Also, if you use a no-rub/rinse only solution and start rubbing your lens case or lenses with it, rubbing will just make the solution ineffective, so there are too many details beyond our layman understanding. So I personally would never be satisfied rinsing the case with the solution alone. I still prefer cleaning with the brush. Hope this helps! wow where do you get so much info from O.o . You're awesome! Well I'll start washing the case from now on for sure :) . N yea I bought a bottle of Biotrue, just about 2-2 days more for my old solution to finish and then I'll try it. Hope it will be better :D . And, thanks again. Thanks for the compliment Aakriti. It's all research and hard work :) If you are truly delighted, I would love you to show it with a facebook like. The 'Like' button is on the right side and spread the word so more people can benefit. Hello! Very insightful blogpost! Could you please advise me on how compatible is PureCon PureSoft with Bausch and Lomb PureVision 2HD (silicone hydrogel) lenses. I recently received a free 140ml solution pack with my PureVision 2 lenses and am hesitant to try it out. At present, I am using Opti-Free RepleniSH with my lenses and have not faced any problem yet. Also, could you please elaborate on the pros and cons of PureSoft lens solution? Thank you! 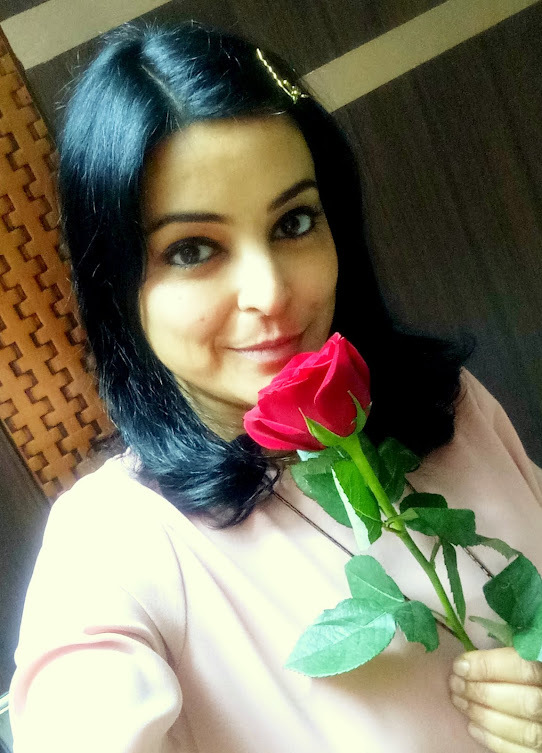 Thanks for reading Madhurima :) Your questions require a lot of research. I did research to answer the previous comment but don't remember the exact details now as I had to read a lot of case studies. Please read the blog policy from the tab above and become a permanent member of the blog in case you need answers to these questions. Many people sometimes take cleaning lens case for granted. It is really important to clean this because it is where you'll store contact lenses for a period of time. Failure to do so increases the risk of microbial growth in the container—which could possibly become the source of eye infection. Also, these microorganisms could render your lenses' integrity broken. Nevertheless, this is a great source of information with regards to contact lens care. Keep posting. “Do NOT apply normal eyeliner to your eye's waterline. Always use good quality, waterproof and ophthalmological tested eye makeup.”—Totally agreeable. A lot of cosmetics can further aggravate the irritation that has been initially caused by contact lenses. Nevertheless, this article says it all. Keep posting more! I m using baush & lomb one year lens. i opted fr renu solution for 2 yrs. 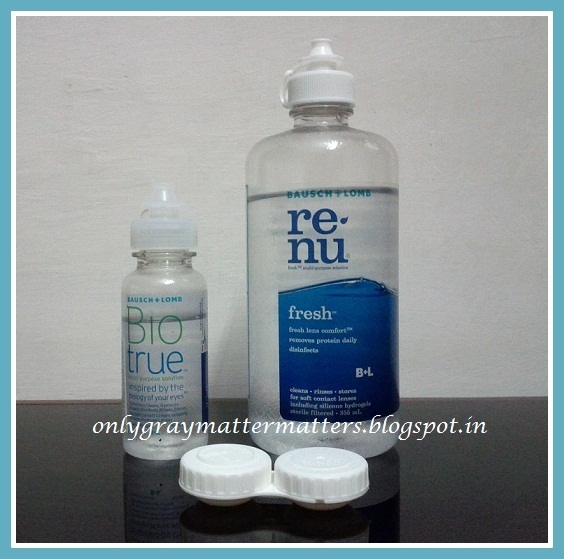 is BioTrue is better than renu for me?????. can u suggest me Moisturizing eye drops for me?? Yes dear, Bio True is milder than Renu and does not irritate eyes like Renu does. Also, for lenses stored in normal Renu solution, you need to change the solution every day. In Bio True, lenses can be stored up to 30 days at a stretch in case you are not going to wear them for a long period or even for a few days at a stretch, when you will not have to change the solution everyday. Of course you will change it the day you will wear them. For moisturizing eye drops, you will need to consult your doctor. I was given moisol drops many many years ago and after than I have never used any. I am sure there may be better ones available by now. My eye check up is due from long. If I visit an eye specialist soon, I will ask them and update here. I think it totally depends on your eyes. i am using Silklens solution with Baush and lomb (3 month disposable)lenses from 6 years now. No problems at all. But in the main post, its written that Silklens contains Sorbic acid and harmful. That i am not sure whether its correct or not and will search for. dont wear contact leneses when near barbeque .lenses melt ant stick to eye causing severe damage or permanent loss of vision.